Show off your little boy in the form of an Aaron Basha charm from the Baby Shoe collection. 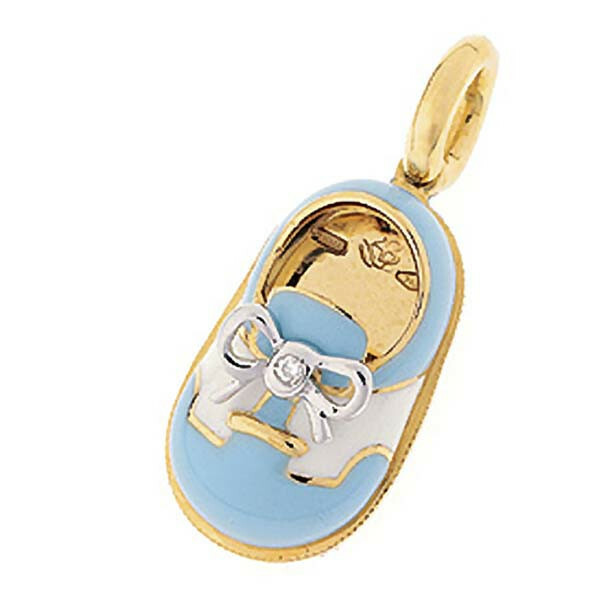 The lush 18kt yellow gold charm is painted in a light blue enamel with a white saddle. The beautiful contrast of blue and yellow highlights the diamond accent resting in the knot of the shoestring tie. This Aaron Basha charm will brighten any bracelet or necklace lovingly!